“Our office, which includes many front line law enforcement officers, is in mourning for all the lives lost this past week. From Dallas to Louisiana to Minnesota and the rest of our nation, all lives are sacred. And the sanctity of life should be a guiding principle in how our law enforcement and our communities interact: the sanctity of lives and safety of law enforcement equally with those citizens they are sworn to protect. We express our most sincere sympathies to those who have lost loved ones to violence now or in the past. 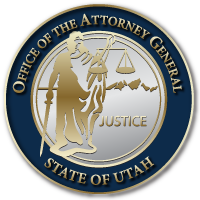 In addition to public outreach, the Office of the Attorney General, with support from Governor Herbert, the Utah legislature and law enforcement leaders, conducts statewide de-escalation training to law enforcement personnel with an emphasis on the sanctity of life. Training is also being developed to further skills and sensitivity relating to citizens with cultural and language diversity as well as mental illness or disability. Such training is intended to help Utah officers avoid violence in their peace keeping efforts and is available to all members of the Utah law enforcement community. This entry was posted in Archived Posts, Recent Posts and tagged Dallas, Louisiana, Minnesota on June 27, 2018 .